Besides timber and stone, there’s another timeless flooring that you must see. We’re talking about terracotta tiles. These hardwearing and stunning tiles add cosiness and warm elegance to your home. 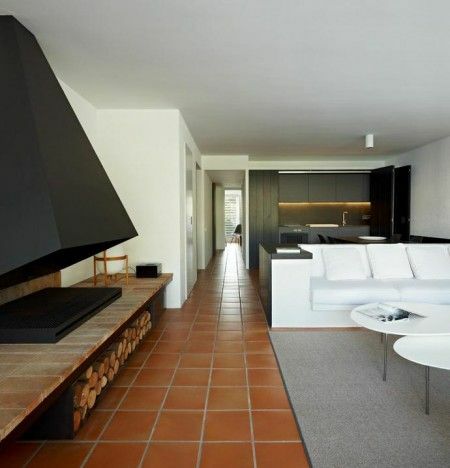 Best of all, it suits a lot of interior design styles. It works well in rustic, traditional, and in contemporary settings. It also comes in various textures and finishes, so you can choose the best look for your home. Terracotta is an ancient building material that translates from Latin as “cooked earth.” It can be unglazed, painted, slip glazed, or glazed. Aussies are in love with white kitchens. The light and bright palette we prefer matches the richness and warmth of terracotta floors. It’s a beautiful floor that grounds a clean, crisp white space. We like the combination of big and small square tiles. This random tile pattern makes this narrow service feel larger. 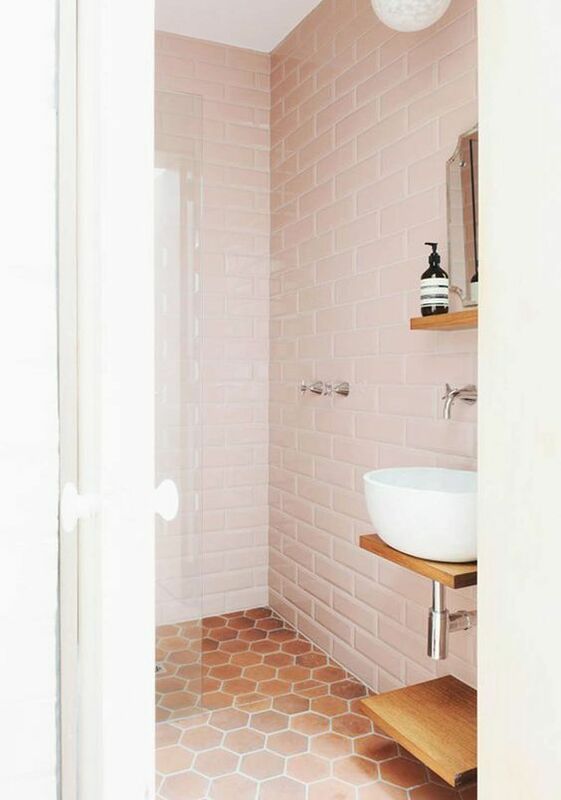 Terracotta floors complement brick walls too. It’s a match made in heaven for a person who likes rustic kitchen interiors. 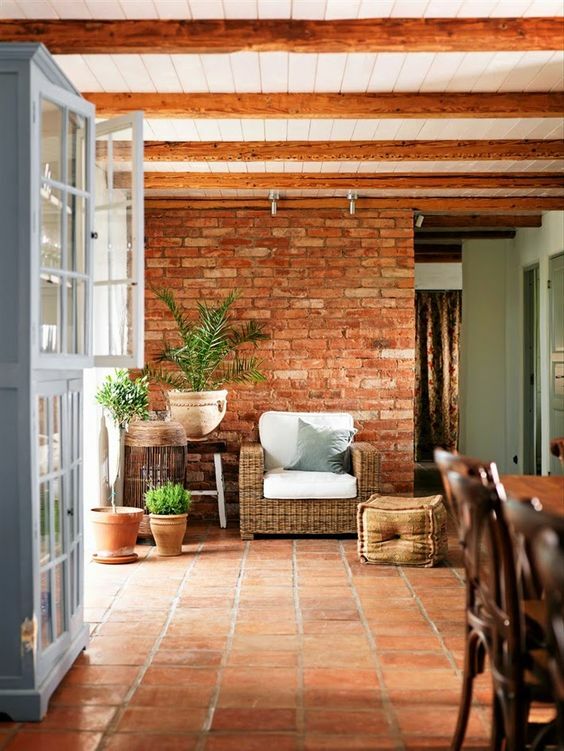 Terracotta tiles in colours ranging from sand (creamy, light brown) to brick red orange always look better with plants. It’s earthy. It’s fresh. 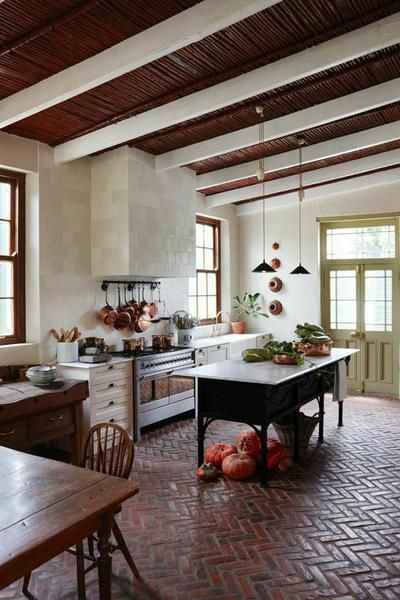 Terracotta floors will help you achieve a classic farmhouse look. Integrate strong elements of wood and metal in your space too. 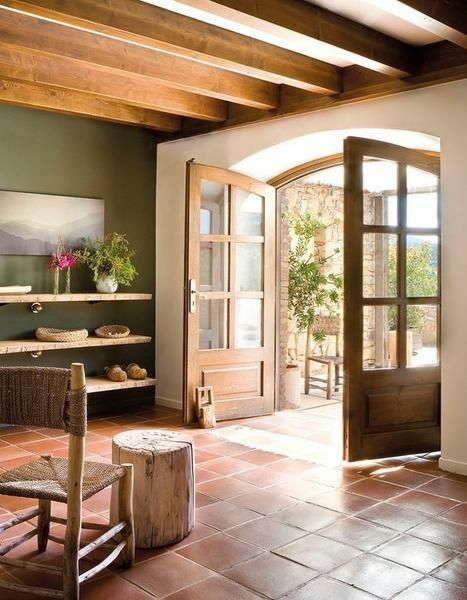 It’s wise to lay terracotta tiles in your foyer, mudroom, or courtyard. A durable and hardwearing flooring like this can survive the wear and tear brought about your shoes and the dirt from outside. Terracotta tiles are porous and require regular sealing to avoid stains. Use a high-quality sealant to protect and lengthen the service of your tiles. If you don’t seal these tiles, terracotta will develop a patina. You’ll end up with ancient looking floors that complement vintage fixtures. 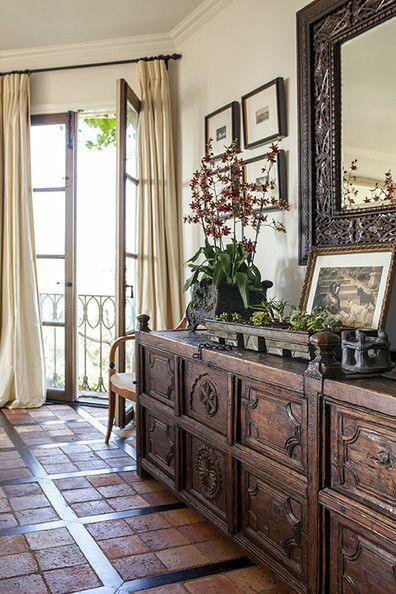 Take a look at the beauty formed when you put together an antique sideboard on terra-cotta tile floors. Everything looks good together. 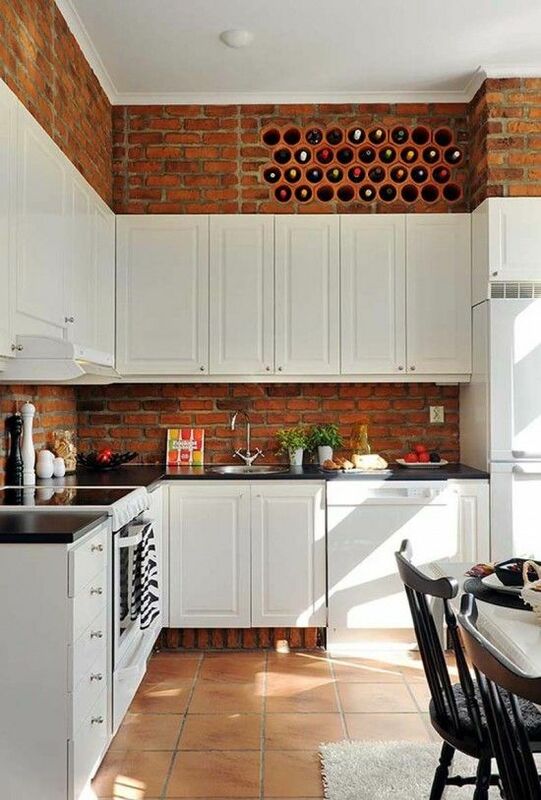 Terracotta looks good in both old-world and modern interior design styles. 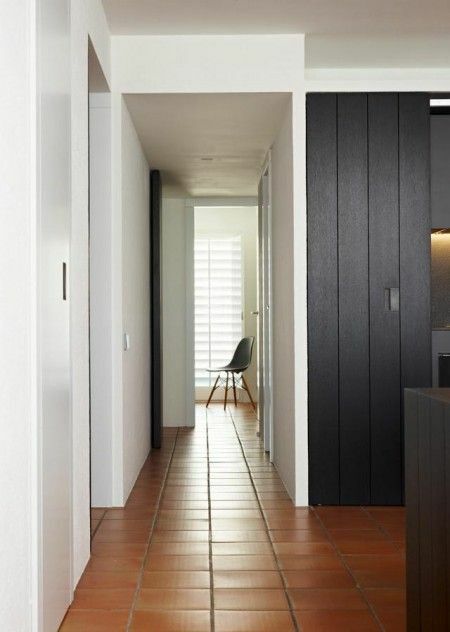 Pair it with clean walls and streamlined furniture, you’ll have minimal interiors that don’t lack warmth. This type of tile is available in matte and glossy finishes. Choose the tile that suits your desired look for your space. Terracotta suits indoor and outdoor use. Lay it around your pool and use it under your alfresco area. 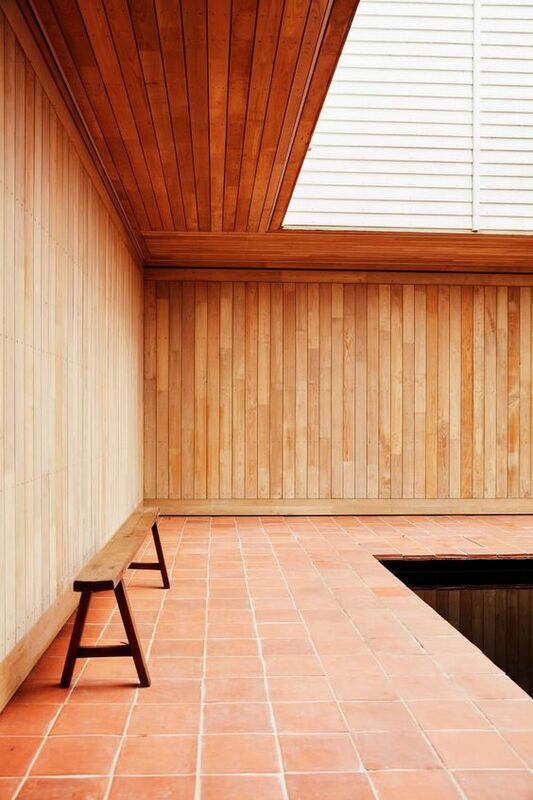 Integrate earthy elements in the poolside area like this light-toned wood panelling to make it more relaxing. 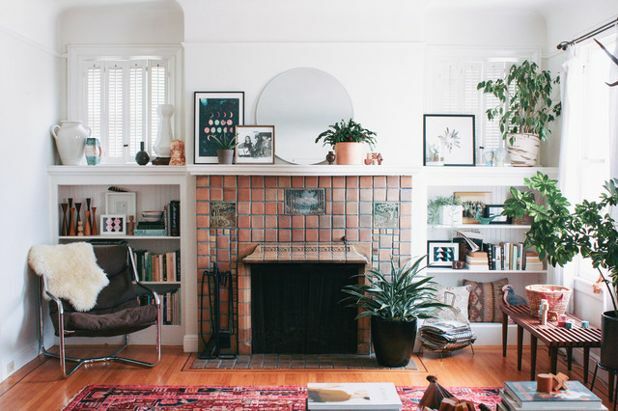 Terracotta looks great on a fireplace mantle. The entire thing will become an attention seeker as it stands out from the rest of the interiors. 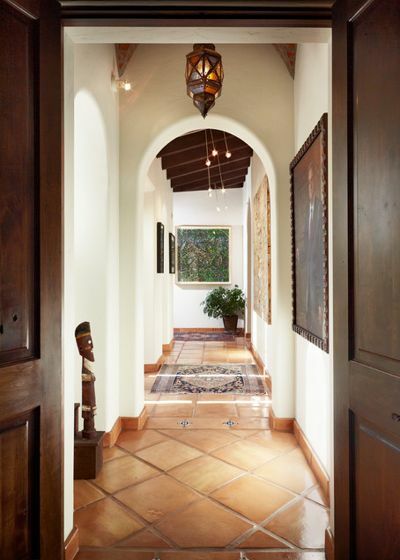 Terracotta is also a practical underfoot for high-traffic zones such as your hallways. It’s a tough material and will survive the parade of people for a lifetime. 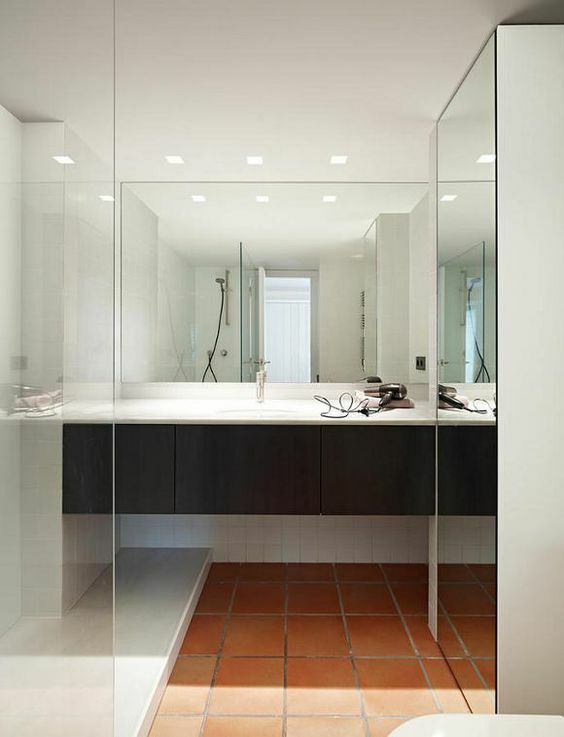 Because terracotta is porous and prone to water damage, it’s not always the top choice for bathrooms. Good thing you can buy high-quality sealants which you can use to protect these tiles. Because of it, you can lay these lovely tiles in the bathroom. 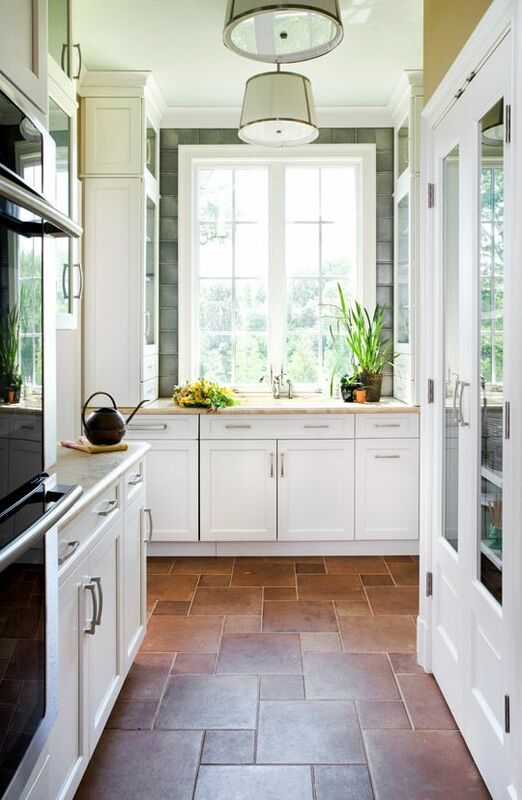 Do you have terracotta tiles at home? Would you like to have it at home?